See what the place is like. See how our campus is different, how it welcomes you. Get a sense of who our students are and how they engage you. 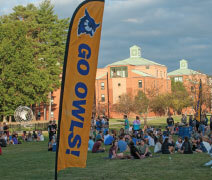 Westfield State creates opportunities for students to be curious, grow, and take chances. 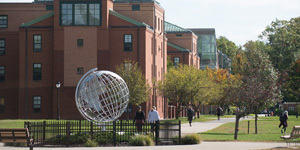 Westfield offers a range of traditional liberal arts and contemporary professional-track programs, and our retention and graduation rates are among the highest of any school in the Massachusetts state university system. Our Center for Undergraduate Research and Creative Activity pairs students with faculty who serve as mentors. Students present at regional and national conferences, gaining experience in research that will prepare them for graduate studies and careers. Experiential learning—learning by doing—is one of the many advantages of a Westfield education. Almost all of our students participate in internships and field experiences at some point during their college career, and many of those opportunities turn into jobs. Instilling a sense of social responsibility and encouraging civic engagement are central to Westfield’s mission. Almost 50% of the student body volunteers on over 300 community service projects each year, accumulating over 60,000 volunteer hours on projects in our own backyard and around the globe. Our highly regarded International Programs Office offers students the opportunity for life-changing global experiences in over 35 countries around the world for a semester or a year. If a semester seems too long to be away, our signature short-term, faculty-led international programs allow students to immerse themselves in a culture for two or three weeks over winter and summer breaks. Westfield athletics have an established championship culture and a tradition of excellence. With 20 Division III varsity men’s and women’s teams and more than 40 intramural and club sports, you can always find an activity that is perfect for you. 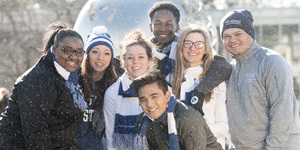 With a highly regarded faculty, rich and diverse academic programs, real-world internships, civic engagement, athletic excellence, and global opportunities, students are transformed by what happens inside and outside our classrooms.